Tel Megiddo overlooking the Jezreel Valley. Tel Megiddo is eye-catching, standing out as a massive raised city mound in the middle of the vast, flat expanse of the Jezreel Valley. It is one of the largest ancient cities within Israel, with an extended city expanse beyond the mound itself giving a total size of about 125 acres. Located along a vital trade route, Megiddo controlled whatever passed through. The city’s 26 different layers of occupation lead many to believe it has witnessed more battles than any other in history. And it is the only site, within Israel, referred to by every single ancient major power in the Near East. Archaeology shows that Megiddo had been powerfully populated for nearly two millennia before the arrival of the Israelites. Dating to around 3000 B.C., Megiddo witnessed a “settlement explosion.” A massive temple structure, known as the “Great Temple,” was built around this time period. It is the largest known structure of the time period for the Levant (a large swathe of the Middle East, directly east of the Mediterranean), measuring an area of 3,600 square feet (10 times larger than the average temple of the time). Excavators found a huge array of animal bones in two corridors of the temple—piled around 10 inches deep and stretching over a span of 150 feet through the corridors. The discovery of this 5,000-year-old temple and city is particularly interesting. It had been thought that society this early on wasn’t “complex” enough to be ordered into such civilization and major construction projects. Yet the Bible shows that city building has always been a human endeavor from our earliest days. Cain built the first recorded city (Genesis 4:17) at least many centuries before Megiddo would have sprung to power. 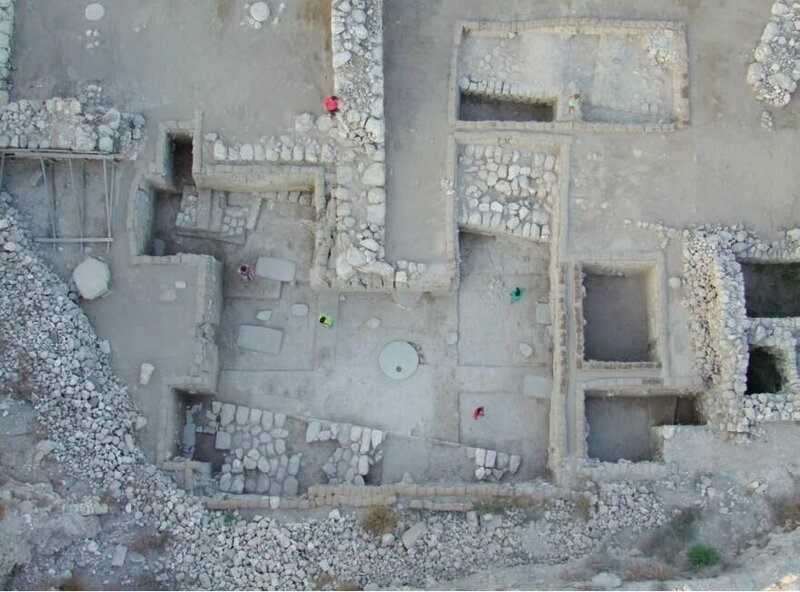 Excavations in Megiddo Area J uncovered a temple of unparalleled scale in the Early Bronze Age I Levant. Considering the massive effort put into its construction, there is much confusion about why the temple and city were suddenly abandoned a century or so later. One theory is a powerful regional earthquake. Could it have been the Flood of Genesis 7, which would have dated to around this time? Whatever the cause, over the following 1,500 years the city was somewhat restored, and it yo-yoed in power before real struggles began with Egypt. Pharaoh Thutmosis III documented in detail his victory over Megiddo with large engravings in his Temple of Amun in Karnak. And in the ensuing years, Megiddo began pleading with its new master Egypt for defensive help against certain invaders. Megiddo is mentioned in the trove of “Amarna” letters, dating to around 1400 B.C. (the time the Israelites would have entered the Promised Land). The Amarna letters detail the terror being faced by Canaanite leaders as they witnessed the nomadic Habiru peoples sweeping into the land and conquering cities. Many leaders of Canaan pleaded for help from Egypt against these invaders. The link in name and time frame between the Habiru and Hebrew is unmistakable. The king of Megiddo, Biridiya, sent a letter to Egypt regarding a leader in the area of Shechem, named Labayu. This man was accused of trying to conquer Megiddo. He and his son were also charged with allying with the Habiru and giving land to them. King Biridiya of Megiddo requested additional help from Egypt in fending off Labayu and his men. While much detail is lacking, we do see that the king of Megiddo was smitten by the Hebrews under Joshua as they swept through the Promised Land (Joshua 12:7-8, :21). The territory of Megiddo was given to the tribe of Manasseh (Joshua 17:11-13). And yet, for some reason, the Canaanites continued to dwell within Megiddo. “Neither did Manasseh drive out the inhabitants of … Megiddo and her towns: but the Canaanites would dwell in that land” (Judges 1:27). In the ensuing years, they were at least held to tribute (verse 28). And so during the first part of the judges period, Megiddo was a Canaanite city. Archaeological finds confirm this Canaanite inhabitancy. Megiddo’s history up to the time of Solomon is quite hazy. Around 1150 B.C., Megiddo was utterly destroyed by fire. This could very well have been related to an event during the time of Deborah, who is believed to have lived and judged Israel around this time period. Deborah was a prophetess during the time of the judges, when the land of Israel was subjected to the reign of King Jabin of Canaan as punishment for rebellion (Judges 4). God delivered the eventually repentant Israelites from this oppression after a major battle between Jabin’s captain, Sisera, and the Israelite commander Barak. The Canaanites were vanquished, and Sisera was killed by an Israelite woman, Jael, to whom he had fled for safety. Zebulun and Naphtali were a people that jeoparded their lives unto the death in the high places of the field. The kings came and fought, then fought the kings of Canaan in Taanach by the waters of Megiddo; they took no gain of money. From these verses we see that a major victory, related to this campaign against Jabin, happened very near Megiddo. It is possible that the conquerors then carried on into Megiddo proper, with the city being burned and destroyed as the archaeology shows. Only time and further excavations will yield more clues toward the destruction that happened in this period of Megiddo’s history. What is apparent is that after this destruction, pagan worship dropped off and the site yielded up a mix of Israelite as well as Philistine pottery, showing the possibility that Israel indeed took over the city. Yet again, sometime later, the city fell victim to another bout of destruction and fire, before we see it in the hands of the Israelite kings. The time of the judges truly was a perilous one. Finally we arrive at the time of king Solomon. Megiddo, at this point, was under Israelite control (1 Kings 4:7, 12). Riches from this city were delivered to Solomon once a year, in rotation with other powerful Israelite cities. Solomon developed this city, in particular, into a powerful fortress. “And this is the reason of the levy which king Solomon raised; for to build the house of the Lord, and his own house, and Millo, and the wall of Jerusalem, and Hazor and Megiddo, and Gezer” (1 Kings 9:15). 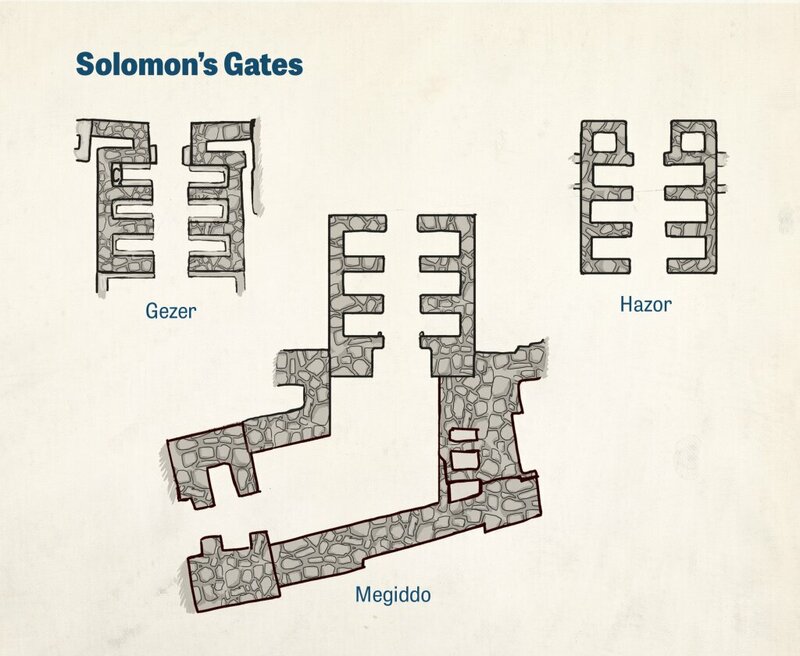 Dating to Solomon’s time, examples of these gates have remarkably been found in the excavated cities of this verse: Hazor, Megiddo, Gezer and a possible example from Jerusalem. As described in Tel Lachish (a city also furnished with a six-chambered gate), this style of city entrance contained three separate chambers on either side of the gate passageway, where business could be conducted or reinforcement could be added in the event of a siege. These gates, dating to the time of Solomon and spreading out across Israel, show that a strong centralized government must have been present in order to standardize the construction of these gates. This is important, especially seeing that Solomon has been thought by some scholars to have merely been an overly legendary hilltop chieftain. Such a leader could not have exerted the strong control needed for this kind of infrastructure across Israel. These gates heavily support the strong, wealthy, united reign of King Solomon. Along with the powerful gate, Megiddo flourished under Solomon. Yet problems arose during the time of his son, Rehoboam, after the northern kingdom broke away and Megiddo became a strong bastion for the north. King Shishak of Egypt (identified in history as Pharaoh Shoshenq I) came up and besieged Jerusalem, ransacking the city yet allowing the inhabitants and King Rehoboam to remain (2 Chronicles 12:1-10). Even though the Bible describes Shishak’s primary attack as being on the southern kingdom of Judah, archaeology shows that his men traversed into the northern kingdom also and defeated Megiddo. Part of an Egyptian victory stele (an engraved stone pillar) was found at Megiddo declaring his conquest. And yet after this conquest, as with Jerusalem, the pharaoh left and Megiddo continued to function under Israelite rule. It reached great heights of power, especially under King Ahab. It is thought that under his reign, Megiddo’s massive underground water system was dug. The system features a 120-foot-deep shaft, connected to a 215-foot sloped tunnel to the spring. It is perhaps the most impressive feature of the tel. Water tunnel to connect Megiddo to the spring; possibly dug by King Ahab. “But when Ahaziah the king of Judah saw this, he fled by the way of the garden house. And Jehu followed after him, and said, Smite him also in the chariot. And they did so at the going up to Gur, which is by Ibleam. And he fled to Megiddo, and died there” (2 Kings 9:27). Jehu began a purge of the family members of Ahab and Jezebel (of whom King Joram was one). The evil Jezebel was actually a resident of Jezreel (verse 30), and would have been very familiar with the nearby city of Megiddo. She too was killed when her servants threw her out of a window to Jehu (verse 33). 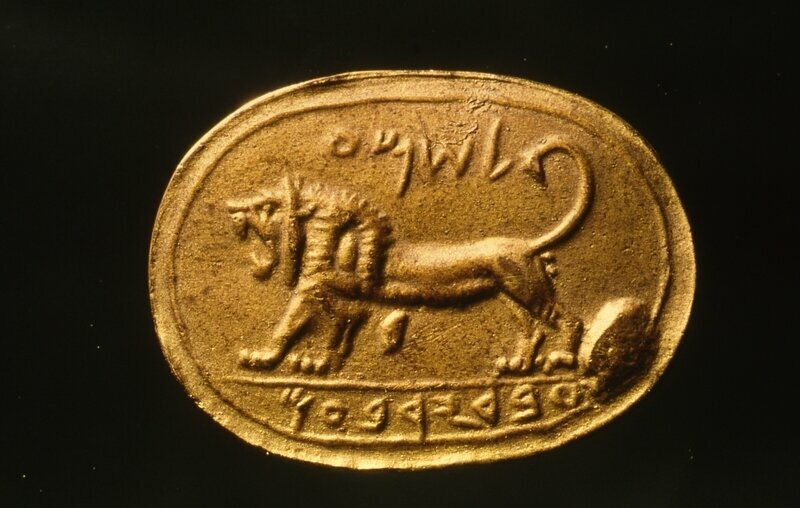 Seal of “Shema, Servant of Jeroboam”. During the late eighth century B.C., the Assyrians were sweeping through the northern kingdom of Israel, destroying cities and taking the Israelite inhabitants captive as punishment for their rebellion against God. Around 732 B.C., during the reign of Israelite King Pekah, the army of Assyrian King Tiglath-Pileser III captured Megiddo. His is the campaign mentioned in 2 Kings 15:29. The northern kingdom’s complete fall occurred around a decade later, under Israel’s King Hoshea. The Israelites were not allowed to stay in the land, but were forcibly taken captive to Assyria, and replaced with what would become known as the “Samaritan” peoples (verse 27; 17:23-29). Under Assyrian rule, Megiddo actually became the capital of the region (rather than the old Israelite capital of Samaria). Yet a century later, the Assyrian empire was crumbling against the newly emerging superpower—the Babylonian Empire. The prospect of Assyria falling to Babylon worried Egyptian Pharaoh Necho II, who sent an army up through the territory of Judah and Israel in order to support Assyria in battle against the Babylonians. The king of Judah at the time, Josiah, wasn’t about to allow passage to Egypt to support the Assyrians. Thus in 609 B.C., the battle of Megiddo began. Though Megiddo was a part of the conquered northern kingdom at the time, King Josiah met the Egyptian forces in the valley there to stop their advance in aiding the kingdom of Assyria. “After all this … Necho king of Egypt came up to fight against Carchemish by Euphrates: and Josiah went out against him. But he sent ambassadors to him, saying, What have I to do with thee, thou king of Judah? I come not against thee this day, but against the house wherewith I have war: for God commanded me to make haste: forbear thee from meddling with God, who is with me, that he destroy thee not” (2 Chronicles 35:20-21). The pharaoh pleaded for Josiah’s sake to simply let him through, and to avoid facing certain destruction. Yet Josiah stubbornly took his men to the vital passage route of the Valley of Megiddo, and battle ensued. Josiah actually went to this battle disguised, so as to not be pinpointed by the attackers as king (verse 22). Yet Josiah there met his end. “[Josiah] hearkened not unto the words of Necho from the mouth of God, and came to fight in the valley of Megiddo. And the archers shot at king Josiah; and the king said to his servants, Have me away; for I am sore wounded. His servants therefore took him out of that chariot, and put him in the second chariot that he had; and they brought him to Jerusalem, and he died …” (verses 22-24). Thus Egypt won a decisive victory. Yet Jeremiah, who lived during this time, prophesied against Pharaoh Necho’s army, which was defeated by Babylon (Jeremiah 46:1-2). He declared that Nebuchadnezzar and his Babylonian army would “come and smite the land of Egypt” (verse 13), which subsequently happened. Egypt and Assyria could not stand up to the emerging Babylonian Empire, and neither could Jerusalem, which was finally destroyed in the early sixth century B.C. Against God’s instruction, the remaining Jews sought safety in fleeing to Egypt—however, just as they were warned, they faced further retribution of Nebuchadnezzar’s forces with his invasion of Egypt (Jeremiah 43-44). Megiddo, as a city site, fell out of use from the late fourth century B.C. (around the time of Alexander the Great’s conquests) until the present day. Yet the plains of Megiddo continued to witness fighting. Romans and Crusaders fought there. The Mongols were, for the first time, permanently stopped there. The British pushed out the Germans and Turks from there during World War I and, finally, not far to the north, the Iraqi Army was defeated by Israel during the 1948 War of Independence. Israeli Prime Minister Shazar gives a welcoming speech to Pope Paul VI at Megiddo. Today, Megiddo is a large archaeological park, with a kibbutz of the same name located nearby. 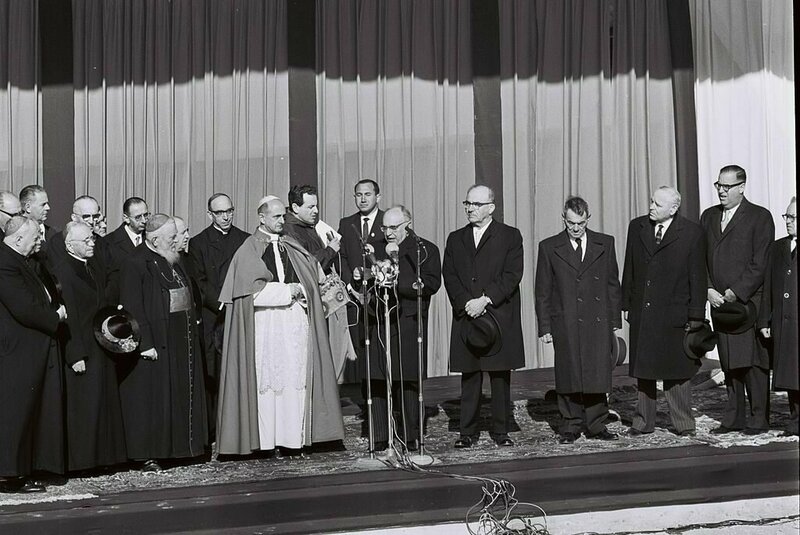 In 1964, Tel Megiddo featured as the site of the first-ever papal visit to Israel, when Pope Paul VI met Israeli Prime Minister Zalman Shazar. The site is a regular tourist hot spot for Israel, and a location of ongoing excavations. Tel Megiddo will continue to be excavated in the 2017 summer season. And so one of the world’s most repeatedly battled locations lies dormant for now, as archaeology continues to provide a fascinating glimpse into the history of this incredible site.